After the heatwave in January 2014 (when Adelaide held the unwelcome position as hottest city in the world) more people in Adelaide are now familiar with one part of the future we face unless there is urgent action on greenhouse emissions. Along with heatwaves, global warming is making the oceans rise. As well as melting ice, water expands when it warms, all the way up from 4OC. OzCoasts (Australia's official coastal science agency) has produced maps showing impacts for some of Australia’s coasts from average sea level rises including 1.1 metres. The actual rises could be even worse if emissions aren’t cut soon enough. 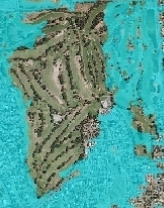 The areas mapped include Adelaide. The maps include impacts from high and king tides, although they exclude storm surges (which are also predicted to become more frequent and severe with climate change). So for example, depending on local tides, you should expect a park that’s between 2 and 3 metres above current average sea level to experience inundation with sea level rises of 1 metre or less. Low lying areas are often where sports fields are located, because these areas already face 1 in 100 year flood risks that make them less suitable for building. So in many areas, impacts for Australia’s sports fields provide early warnings of impacts of sea level rise that will make flooding more frequent and widespread. 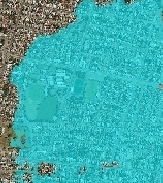 Largs North oval only just stays above the inundation level indicated with 1.1 metres sea level rise. Largs Reserve shows inundation up to the boundary together with much of the surrounding area. Several other grounds are just above inundation levels shown for 1.1 metres sea level rise. OzCoasts maps published so far only go as far south as Marino for the Adelaide suburbs. It is likely that some areas not covered by maps are also threatened by sea level rises in the range modelled. For example, in Port Noarlunga South the oval and the adjacent tennis courts show on Google Earth as just 2 metres above current average sea level. With high tides these areas would be highly likely to be in the inundation area for 1.1 metres sea level rise. How are politicians in these areas performing on climate action? In Port Adelaide, Mark Butler is standing up for his electorate, and the rest of the nation, leading Labor’s climate policy work as Shadow Minister for Environment, Climate Change and Water. In Kingston, Labor member Amanda Rishworth has been a strong voice on climate change. For example, ahead of Adelaide’s last heatwave she wrote about the mounting health risks of climate change. Matt Williams, Liberal member for Hindmarsh, is meant to represent an area which would be one of the earliest heavily affected by climate change, as can be seen from a look at the list above – or by comparing OzCoasts maps with the map of his electorate. But we can’t even find any mention of climate change by Matt Williams. All that we can find on the record is that, almost as soon as he got to Canberra, he voted to put climate action in reverse, including voting to abolish the Clean Energy Finance Corporation and the Climate Change Authority. Andrew Southcott, Member for Boothby, used to speak in Parliament in favour of climate action from a conservative point of view. But in 2013 he voted with Tony Abbott to put climate action in reverse, and in 2012 on his Facebook page he joined in the ridiculous scare campaign that carbon pricing was a threat to community sport. The grounds at Brighton are a few metres higher than the home grounds of their neighbours just to the north, but it’s climate change, not carbon pricing, that is really a serious threat to community sport. Climate action: The time for games is over.